We've finally achieved a pure design for a water bottle that gives water a pure, non-metallic taste. 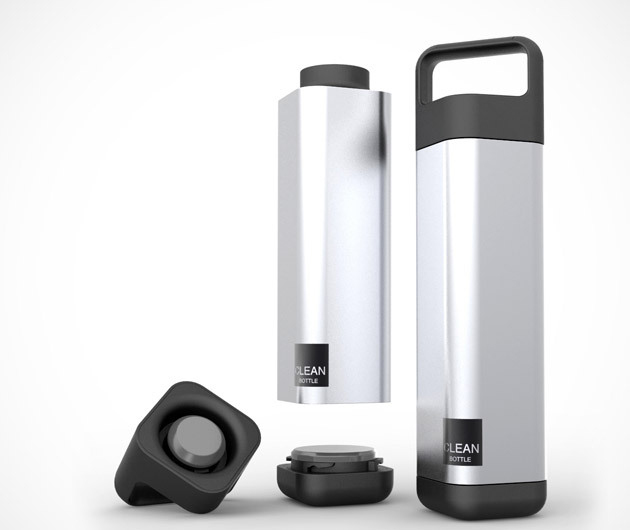 The Clean Bottle Square is made from food-grade stainless steel, and it's shaped so as not to roll. It opens from either end for easy and thorough cleaning. With the Clean Bottle Square, we have a bottle whose design is as pure as the stuff it contains.